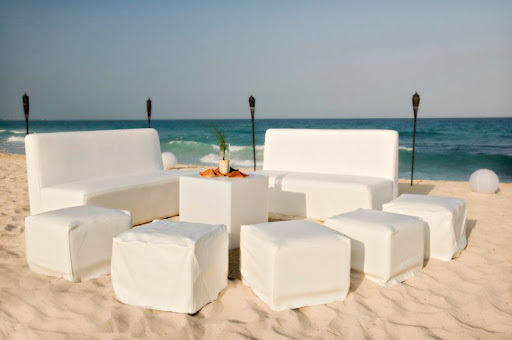 Wouldn’t this chic white set-up be perfect for a cocktail hour while the bride & groom take photos with the family & wedding party? 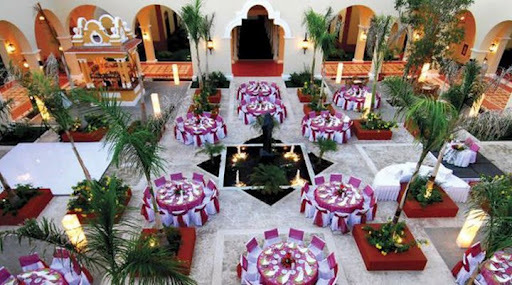 This is one of my favorite reception locations in Mexico… I love the intimate courtyard setting, romantic lighting, and well placed palm trees. 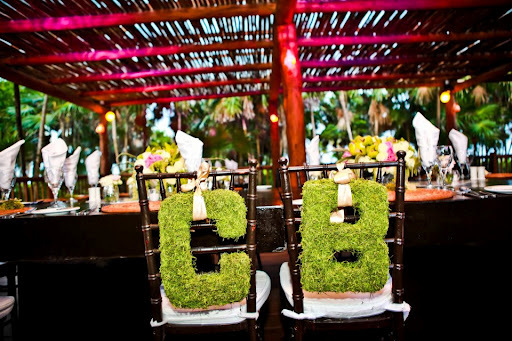 And if you ever thought there would be a cap on customization at a destination wedding, think again! Fruit plate for the Bride and Groom’s suite. Preferred room assignment in the category purchased. Romantic dinner in one of our restaurants for the Bride and Groom on the night of their choice. **Chapel is available for Catholic religious ceremonies only. *an extra fee for priest’s services will be applied. 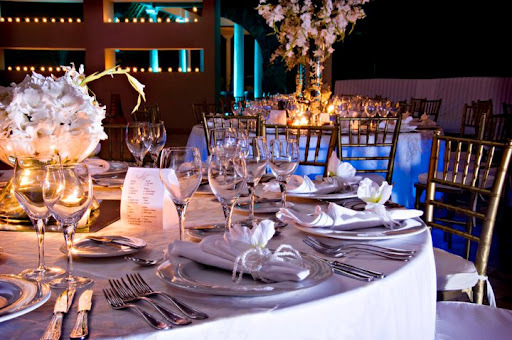 Contact our destination wedding travel specialist for a full quote on wedding packages at Valentin Imperial Maya. 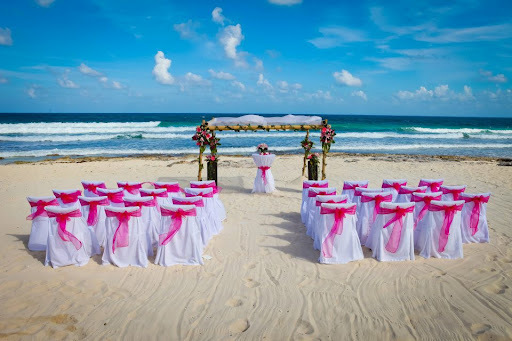 Cancun is a the perfect destination for a wedding. The airport is one of the busiest in the region and welcomes nonstop international flights from most gateways in the US & Europe. Airline tickets are often lowest than any other beach destination in the region. Wow the destination is so beautifully decorated. Really it looks very attractive. The most beautiful is the one decorated with palm trees. 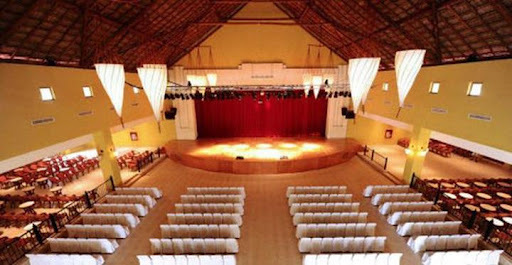 It has enhanced the beauty of wedding reception.